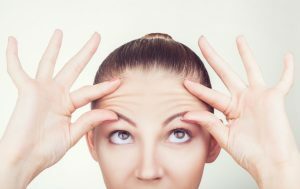 A lot of patients ask me, “When is the best time to start Botox® cosmetic (or other neuromodulator*) for wrinkles?” In my opinion, it depends on many individual factors – mainly when you start to worry about wrinkles. Everybody is different as to when (and if) things bother them. Wrinkles aren’t inherently a bad thing – they’re signs of a life well-lived (and well-expressed!). Some people have stronger muscles or may be more facially expressive than others and may form wrinkles earlier. Others feel like (or have even been told) they have an unconscious angry/stern expression and would like to soften it. However, it’s really a personal decision as to when an adult “should” start Botox® for cosmetic reasons. Remember, Botox® and other neuromodulators can only help to soften wrinkles that are more pronounced when your face is in expression. They work by temporarily weakening the muscles that cause facial expressions. When the muscles underneath don’t contract as much, the surface skin appears more smooth. Botox will not help deep wrinkles seen when your face is at rest. One of my favorite aspects of Botox® is that it is also preventative – by continuing to weaken the muscles, you’re not as likely to develop the permanent furrows caused by the muscles. My absolute favorite area to treat is the area of the forehead between the eyebrows – many people (including myself!) get vertical lines there from scrunching their forehead and eyebrows in concentration or in expression. I’ve even heard people call these wrinkles “elevenses”. I find treating this area can really do wonders. Also remember that Botox® can be used to treat excessive sweating in areas such as the underarm or palm of the hand, or to even shape the face – but that’s a post for another time!